Move your Character Parties around the kingdom. Building your land ownings by defeating the monsters that terrorize those lands. Fend off the other Parties to keep your lands. Make your kingdom larger and more powerful than the other players and YOU WIN! A brand new game from Fantasy Game Strategies! A good mix of area/property management and hand/card management gaming, with the roll of a single die adding in that tiniest bit of chance and luck. 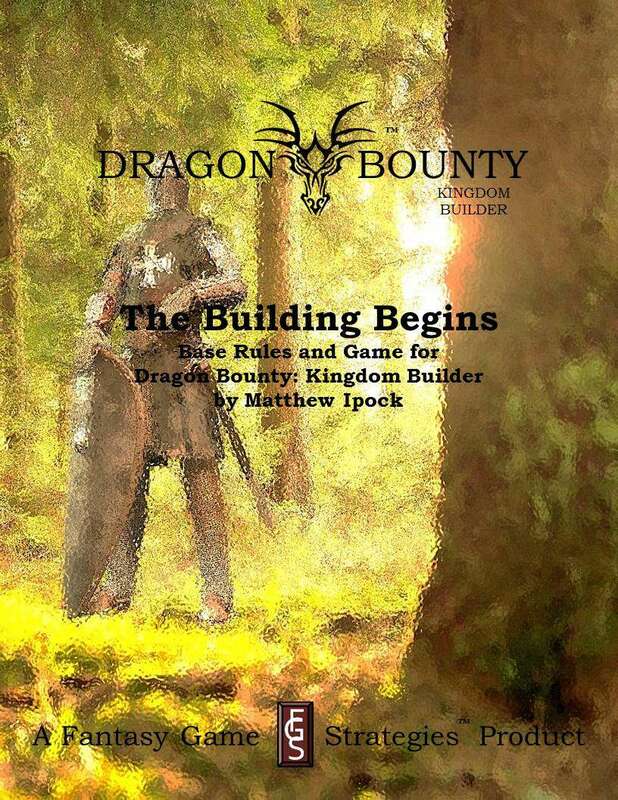 Inside, you will find all the directions you need for playing Dragon Bounty: Kingdom Builder. You will also find all of the pieces you need, ready to print right at your home: Board pieces, Land Space cards, Character, Weapon, Armor, Spell, and Treasure cards, Dungeon Detail cards, and all of the Injury, Poison/Disease, Gold, and other tokens needed for the game. The entire game has been created in black and white. There is, however, a section near the end that includes a color board, color Land Space cards, and color tokens, just in case you wish to liven up the game table.